Once you create a video, you use it once and that’s it, right? Guess again! One of the reasons video offers such high ROI (with 51% of professionals in agreement worldwide) is that it can be repurposed. In other words, it can be reused to reach new audiences, bring you a higher return on investment and ultimately get the most out of your marketing expenditure. In fact, because of this, video marketing is considered one of the most cost-effective methods of marketing around. Use video on your website to make your content more dynamic, engaging and interactive. Make your “About Us” section more personable and showcase your brands ethics with a corporate video or a simple talking head. Showcase your products with product demos or explainer videos on product pages. Create a showreel from previous promotional videos to add to your homepage. Compile client or customer reviews to form a testimonial video for your brand. Powerful pitch. It’s a natural, authentic way for customers to get to know your products and services; and can be watched 24/7. Better ranking. Video content is 50 times more likely to rank organically on the first page than a traditional page of text. More buying. Eyeviewdigital.com found that people are 80% more likely to purchase from companies that use video on their landing pages. Better understanding. Customers skim-read, and video content such as product demos or explainer videos help them grasp key benefits quickly. Authenticity. Place a testimonial video or case study on your landing page to build trust in your brand. Peer reviews are one of the most powerful forms of marketing available. Pin your promotional videos to the top of your Facebook newsfeed, Twitter feed, Google+ page etc. When people visit your company page, seeing a video is a great way to get people to find out more about you. Use short snippets of existing video content to incite curiosity and entice your audience to visit your website for the full content. Increase your reach. There are over 2 billion video views per day worldwide; with the majority taking place on social media sites like YouTube. That’s a huge audience for your video marketing campaign. Higher CTR. Placing video content on social media provides continual online marketing for your business. Your followers click through to your site, and SEO ranking improves as a result. Shared content. Create a great promo video and your content will get shared, which means better exposure for your brand. 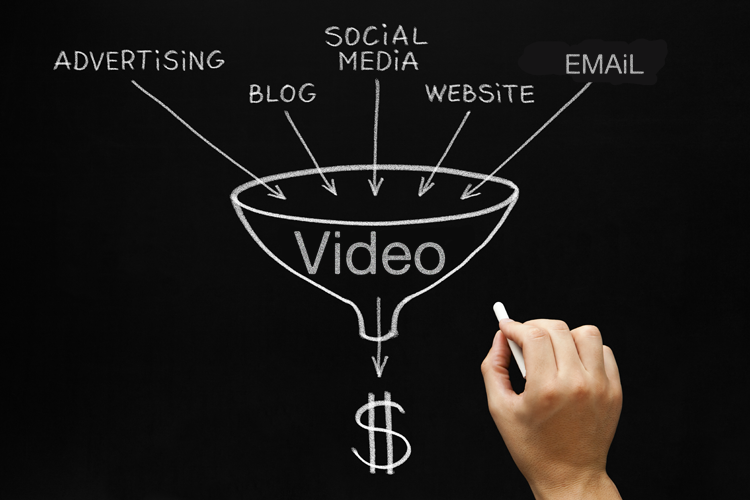 Video can easily be repurposed for use in your email campaign. Use an attention grabbing video thumbnail that accurately describes what is inside to entice people to click through to your site to watch the video. Even placing the word “Video” in the email title is enough to impact positively on your open rates – people want video content. Embed the video into the email to drum up some interest. Send a “Thank You” video in confirmation emails to let your customers know you’re important to them. Boost CTR. Video boosts engagement, which creates curiosity. The result? More click-throughs and more site traffic. Build trust. Customers view your testimonials and explainer videos, and see you as a reliable, trustworthy brand. To boost ROI further, convert your video content into in-depth articles and blogs. Measure viewer metrics to gain insight into which parts of the video your audience really engaged in. Then use this information to create follow-up blog posts. Feedback is always valuable, and demonstrating that you’re listening to your customers will boost your reputation. Repurpose older content when it’s relevant. If you’ve got old video content that links to a fresh article, promote the two side-by-side for better exposure and engagement. Tailor your content for your audience and location. For example, corporate videos work well on LinkedIn, which is a professional site. By contrast, lively promo videos work well on Facebook and Twitter. Repurpose in different formats. Your video can be transformed into an infographic for Pinterest, a click-through image for emails, or as part of your playlist on YouTube. Assume all social media channels share the same audience. You should always tailor content to reflect audience expectation. For example, Twitter videos should be shorter than Facebook. Focus on the old. Unless it’s “evergreen” content, old, out-of-date content will put off your audience. When new content is created, think how you can exploit it to gain maximum exposure. 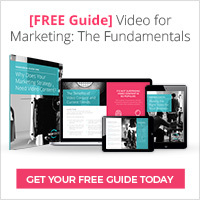 Video is one of the most effective ways to grab attention and make sales online. It’s even more productive when utilised cleverly – and repurposed to best effect. If you’d like to discuss your next business video and how it can be repurposed to suit your marketing campaign, get in touch with WebVideos today. Yes you are right – without video & photography the Internet would be a text adventure yuk! Leaving a comments is too difficult on this site. Glad you agree! I couldn’t imagine anything worse!! I have just tested the comment section and it’s working well for me. We have made the “Name” and “Email” fields compulsory because it helps protect our readers and ourselves from silly spam comments, and we have to approve all comments before they appear on the site… but if you’re experiencing technical issues could you email me at rebecca.barrett@webvideos.co.uk with some more details please? Would be really grateful!